I believe it is useful as some students might be ¨lost¨ in knowing a bit more about their skills and why they are positive to endeavour in their future career. I think they don’t choose your job for you but help to clarify ideas and have a different insight about the jobs the student would like to perform in the future. It does help you organize yourself personally and discover what skills you need to develop the best career for you. It helps you realise that there are other options available which are accessible as well. Students could find important basic information on job opportunities in order to start thinking their future job in an easy way. The list of skills and competences help in identify possible working carrier, but it’s important to fill this section with a tutor’s help because there are so many knowledge, skills and competences within you can choose that could lost yourself. The databases of crowdfunding portals and online courses is the most attractive and well made. I know crowdfunding, I used it before, but I didn’t still find a portal online that resume a huge number of crowdfunding platform. There are for every kind of interest/business!!! We work a lot on competences and on defining students’ professional projects. This section is linked to different questions about the orientation of the students. This section is relevant because it inspires us to find a job. The job profiles clearly help me in my research. This section is a tool to start entering into the working world. The job profiles section is a good one but I think it should be enriched with more profiles. Description of job profiles differs from one country to another. And all of them are in English. Apart from that, this section is a good source of information for studets. The section "Skills and jobs" is great and the profile descriptions are very good. What a pity it is only in English? Having French translations for the Belgian profiles is great. Some profiles are common or could be common. Why not specify it? (e.g. on the profile of a web developer, add "also in Belgium" + link). The digital database illustrating the job profiles, that are most requested at national and at European level, is really relevant and useful for teachers and students. The toolkit 2 highlights the consistency between the skills required by the labour market and those provided by school education. That’s so important. The toolkit is relevant and useful as it provides information for us and students about the most required jobs in the market, about skills and competences needed to succeed in the market. The job market is always difficult to understand for a student, and so a section about this I think is really important , respources on line are surely easy to read..
For a student is important to know the job profiles , not only to choose a job , but to have ideas about the labor market trend.Sometimes we have no idea about the requests of labour market. This section is important in order to help students in the job market, and to have a database of on line resources. For a student is important to know the job profiles , not only to choose a job , but to have ideas about the connection between school courses and trend of the labour market. Nowadays it is important to have skills and competences during all life, not only from school, and the portal help to underline the most important skills and competences, as digital or linguistic. This section is relevant because there is focus in skills and competences usefull to work with students that will be able to search to develop what they really need for their future goal. The job profiles help to choose a job. I think the site is useful: it gives reliable information on the most in demand jobs and the skills they require. Students should take into consideration the demand in the market when deciding on their career. The best way to find a new job is to know what jobs are most in demand. For some jobs, the description is very long and accurate, while for others it is too short and important details are omitted. A carpenter is as important as a surgeon...their job description should be equal in lengths and importance. 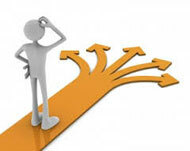 When we want to choose a road career, we become very confused, we don't know exactly what is right for us . This project is very interesting because it gives you the opportunity to discover jobs best of country you want and what they consist of.